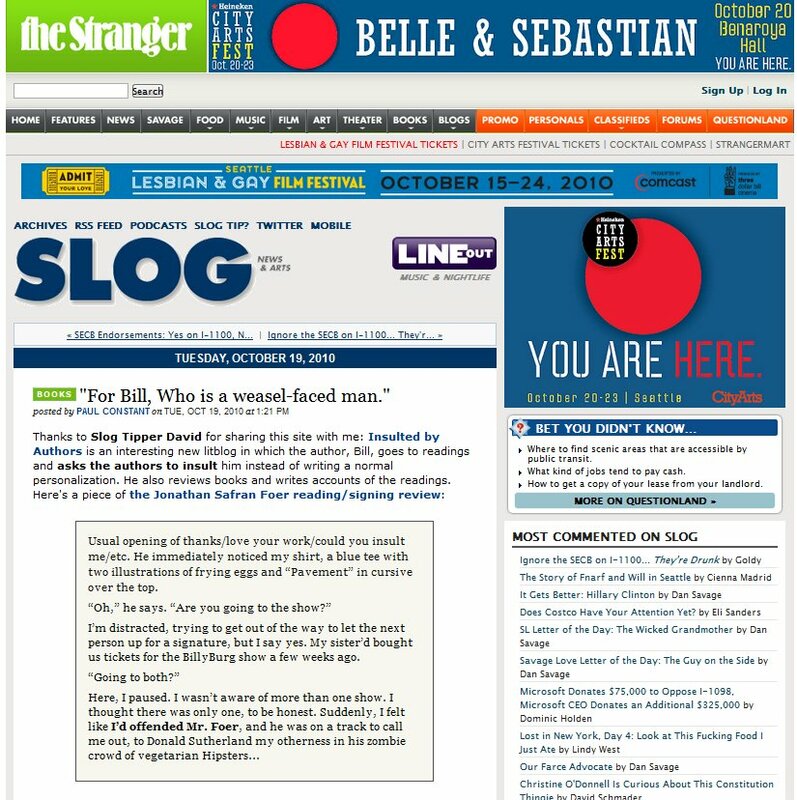 People Enjoy NYC Readings, Books, and Insults | The Stranger’s Slog Links to Insulted by Authors! Litblog, eh? I’ll go with it. Thanks, Paul Constant and “Slog Tipper David.” Even though the link was buried on the second page with two comments within an hour or so, I still got about 30 hits from them. Super. I like, also, that Mr. Constant brought out the rodent-like quality of my face. The man knows his bloggers! Listen, I’d like this to be my job from now on. Some giant bookstore should sponsor me. I’m looking at you, Strand. Don’t leave us! We’ll insult you, too! Don’t insult us! We’ll leave you, too!